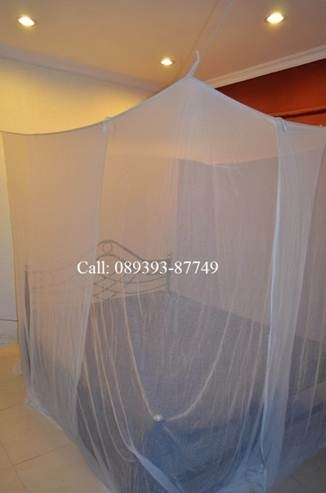 Our Traditional Cotton mosquito nets are made of high quality cotton yarn. It is 100% cotton without mixing any other fabric. Cotton mesh has moisture absorbent qualities, which cools the temperature inside the net. Unlike polyester or nylon / plastic mesh, cotton mosquito net will not generate heat. Cotton netting is not allergic to skin. Hence it is safe for children and hypersensitive skin. Knitted cotton mesh will prevent mosquito biting and gives maximum protection from other insects. Our cotton mosquito net is ideal for both winter and summer. Our Cotton mosquito mesh is washable,durable and made of run-proof knitting. We undertake custom made orders. Delivery time will differ according to the dimension. Color of the cotton mosquito net is always white for deluxe and premium model. Call : Naveen (0)89393-87749 to place an order. 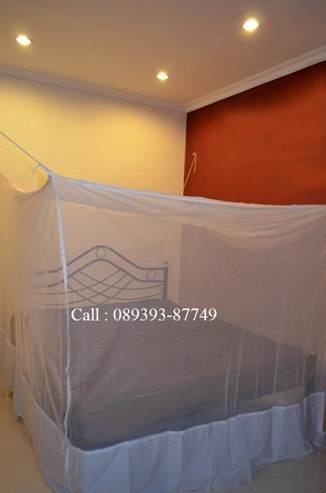 Please mention Box Cotton mosquito Net while inquiring.